Recently my skin has been rebelling and breaking out. 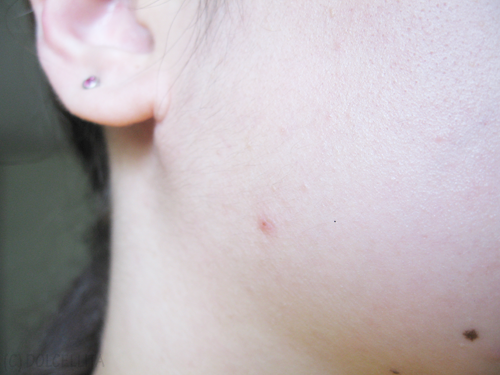 It's mostly been happening along my jawline too, which I found out after some research was due to hormonal imbalance. Now if it was a diet related problem, I could easily try to eat a wee bit healthier to counteract what's happening with my skin. But hormones? What am I supposed to do about that? I already have a medicated acne cream I've been using for years that's highly effective for me. 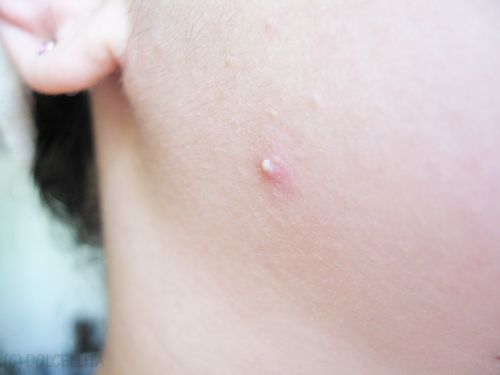 It can get rid of small to medium zits practically overnight. But it's really drying on the skin (to help dry out the zits, I guess) so I can't use it in the day when I'm going to be headed out because it'll cause my makeup to look flaky and patchy on those areas. So I decided to purchase something additional I can use any time to help me combat my acne's redness and overall appearance. 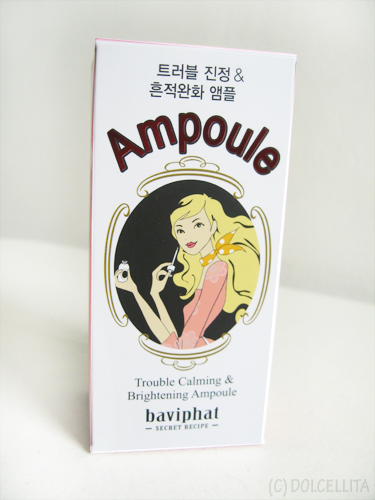 I was browsing around Baviphat in Glorietta 3 mall the other week and happened about telling the SA about my breakout woes and she instantly recommended me their Trouble Calming & Brightening Ampoule. 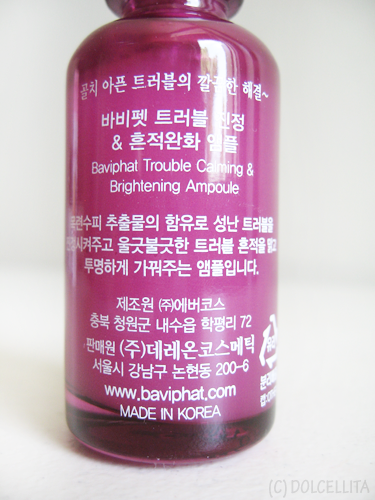 I'm a big lover of Baviphat's products, so it wasn't that hard for me to decide to get it! Baviphat never fails with their packaging. It's always colorful, girly, and accompanied with cute illustrations! 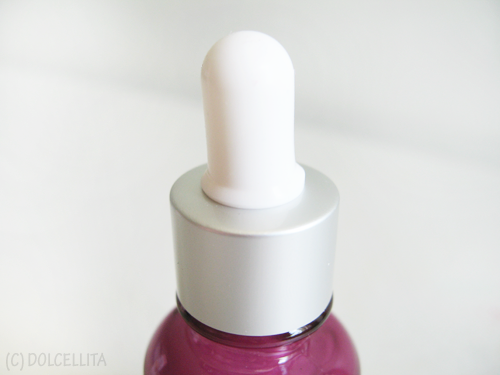 The serum comes in a sturdy, glass bottle with a dropper that holds 30ML of product. I find the bottle pretty enough to display on a vanity table! It almost looks like a potion vial, don't you think? Skin-soothing serum utilizes extracts of magnolia flowers to even out complexion and bring a newfound glow to dull and lackluster skin tone. Skin-calming serum easily spreads on, penetrating the surface to deliver potent brighteners right where they are needed the most. For instantly brighter skin, pour out a few drops of serum and spread evenly all over face. So from the description alone, this turns out to be a dual-use product. Not only will it help 'calm' blemishes such as new acne, but also brighten up dark spots, acne scars, and your face's overall skin tone. 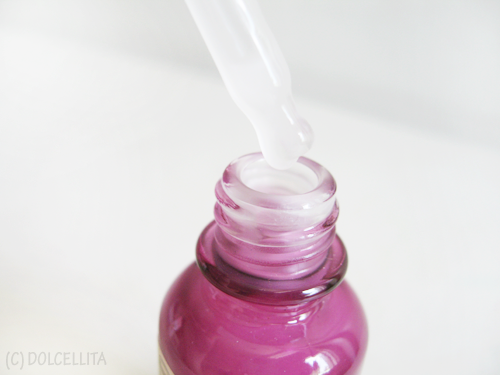 The serum itself is somewhat thin and has a runny or watery consistency, as you'd expect. It takes a bit of time to absorb fully into the skin, about 10-15 minutes for me, and it changes from wet to slightly sticky in the process. So within a week it worked a lot better than I expected it to and it really did 'calm' the zit down to the point that it's 90% gone. 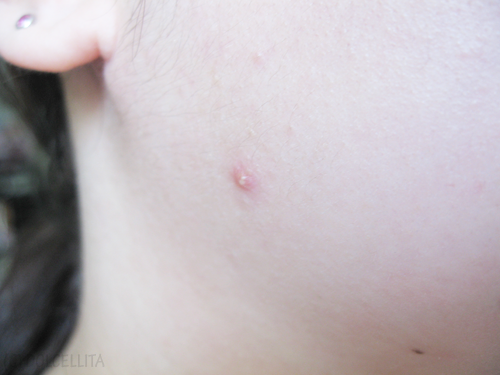 Most importantly, it got rid of that disgusting pus-filled 'white head' that usually appears with new zits. However, just take note that the serum's effectivity isn't consistent. It can take longer to work on some new acne or shorter. Sometimes it doesn't disappear almost completely like it did above even after a week. It depends on the size of the acne itself, as well as a multitude of other factors including your current stress levels, diet, sleep pattern, etc. I also tried the serum's claim for brightening, again applying twice a day on my entire face for one week, but unfortunately I didn't notice any visible difference with my acne scars or overall skin tone. I'm not sure where other Baviphat stalls are located locally. But if you want to purchase it online, you can do so via YesStyle or Fan Girl Asia, amongst others. Please remember price also still varies per site! I've never heard of Baviphat. Love Korean skincare though! Oh I want to try this. It seems to work well. I'm not sure if I can find it in Italy...I'll look for it. Korean skin care products are one of my favorites in general. So many Korean girls have such flawless skin after all! Great! Hope it works just as well or better for you! WOW! I'm amazed by how effective it is! Great find! super cute packging, i want to try it too! Wow.. this is the first time I heard about this product. 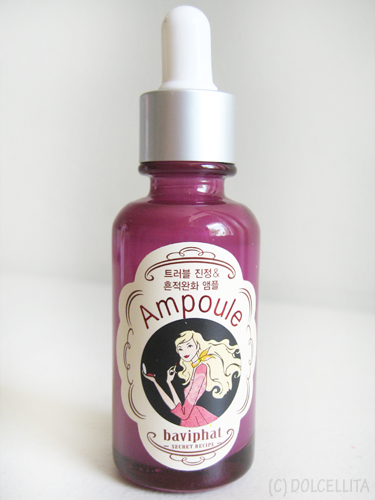 I want to try this because lately, my skin is not cooperating too.. :( I hope they have it in every cinderella stores. Thanks, dear! I've followed you back on both GFC and Bloglovin. 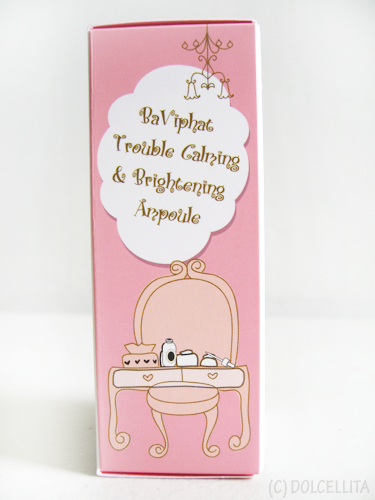 The packaging is super cute! Looks like something I would try. It´s great to see that it actually works!. omg! sorry but that was too much visually for me! lol! glad it worked tho! Looks like a great product. Thanks for the amazing review! Lucky you! :) I have a strict skin care ritual and I still have zits appearing right after one has disappeared. Though it's supposed to be a hormonal problem, I also blame my lack of sleep, haha. Hi Im selling po Bavhipat products authentic po and its 400 lang po sa amin. you can visit my online shop called A Style Me Pretty www.facebook.com/astylemepretty.